There's skin lightening and there's Japanese skin lightening. If you've ever admired the milky white, translucent skin of Japanese women, you've probably wondered what sort of products they're using to achieve that level of lightening. And of course, some of it is genetics. But the rest of it? Look no further than Japanese skin whitening products. It's not surprising why Japan has such an abundance of great whitening products. The preference for white, flawless skin has been around forever in Japan - long before the influences of western culture. There's even an old Japanese proverb that translates to "white skin covers the seven flaws," meaning that even a woman with unattractive facial features can seem beautiful if she has fair skin. Traditionally, Japanese women relied on a number of skin lightening ingredients to achieve the coveted pale skin, many of which we still use today like kojic acid while some of these traditional ingredients, like nightingale feces, has thankfully gone out of fashion. But instead of relying solely on traditional remedies, Japan has innovated and improved their way to some of the most effective skin whitening products in the world. So which ones should you pick up? Here are the best Japanese skin whitening to get your hands skin on! Let's start with the basics: soap. Skin lightening soap is a brilliant, almost effortless way to lighten your skin ‘cause, well, you gotta wash yourself anyway, right? So you might as well choose a soap that has a heap of melanin-blocking, skin-lightening ingredients in it. And while Shouvy is relatively new to the skin lightening soap market, it offers some great choices. The funky green soap combines Vitamin C and one of the effective skin lightening ingredients ever: glutathione. ​Glutathione is one of the most popular skin lightening ingredients ever, both for its ability to inhibit the enzymes that stimulates melanin production and for the fact that it changes the metabolic pathway of melanin from making dark pigmented melanin to creating light pigmented melanin. Overall, it’s a damn good lightening ingredient. But what if you want more than just glutathione? Reach for the pink bar, which combines glutathione with kojic acid, which is one of the most popular skin lightening ingredients in the world, thanks to the fact that it’s totally natural but still as effective at inhibiting melanin production as chemical skin lighteners. Whichever bar you go for, rest assured that both bars contain a healthy heap of nourishing oils to counterbalance the drying effects of the lightening ingredients. If you’re prone to sensitive, dry skin, though, the Pure Gluta (green) bar may be a better choice since it’s formulated with glycerin and rice milk extract for extra moisture. Not a fan of using bar soap on your sensitive facial skin? You’ll want to meet Tatcha’s Rice Enzyme Powder. This innovative, award-winning facial cleanser is inspired by the ancient beauty rituals of geishas and combines a number of natural ingredients that have been used for centuries to lighten and brighten skin tone. If you haven’t used a powdered cleanser before, it can seem strange at first but you’ll come to love it - in like, 2 seconds. The water-activated enzyme powder is a lovely, superfine consistency and has heaps of goodies like rice bran, papaya extract, green tea leaf extract, pearl protein, and algae extract. Thanks to its gentle grainy nature, you get both a thorough cleansing and a soft exfoliation at the same time. The result? Skin that’s so soft, bright and glowy, and with smaller pores to boot. Japan's got a whole lot of skin care products but an absolute must-have Japanese whitening product is whitening sunscreen. These fluid wonders are the best of both worlds, providing sun protection as well as being loaded with skin lightening ingredients to whiten your skin at the same time. It's like a lightening lotion and sunscreen in one. We especially love that these whitening sunscreens are lightweight and easily soak into your skin, making it perfect to layer under makeup. 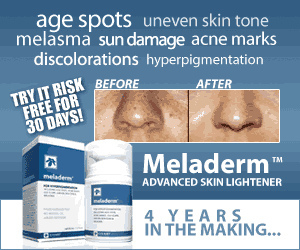 Plus, what a damn clever way to fade hyperpigmentation, lighten your skin and never get a tan? Our favorites when it comes to whitening sunscreens all hail from Japan - Shiseido's Anessa Whitening UV Protector provides ​broad spectrum protection against both UVA and UVB rays while also containing M-Tranexamic acid, a proven ingredient for skin lightening, as well as hyaluronic acid and collagen, 2 more skincare powerhouses that provide a bevy of skin benefits. ​Skin Aqua's UV Moisture Milk contains a similar lineup of ingredients but at friendlier price tag. You've got the lightening soaps and the sunscreen to protect your skin afterwards but why use a regular old lotion when you can slather on a lotion with skin lightening benefits? The best facial lotions to come out of Japan - with lightening and brightening perks - are Hada Labo's lotions. You may have already heard of this ever popular brand, thanks to their hyaluronic acid lotions but they also have a range of lightening lotions that are formulated with an extra boost of naturally brightening ingredients. ​The best ones? Hada Labo's Albutin Medicinal Whitening Lotion is perfection - it contains a good dose of arbutin, commonly known as Bearberry Extract, and an all natural skin lightener that inhibits melanin and is an effective and much safer derivative of hydroquinone. Combined with the hyaluronic acid that Hada Labo is known for and you get lightening and plumping benefits. Another great choice for a skin lightening lotion is Hada﻿ Labo's Deep Whitening Milky Lotion, which also contains arbutin as well as Magnesium Ascorbyl Phosphate (MAP), a vitamin C derivative to gently and effectively brighten skin tone. Want to whiten your skin as you sleep? Reach for Shouvy's Whitening Mask. It's not a cream that you'd want to use in the daytime since on top of skin lightening ingredients like glutathione, niacinamide, arbutin and kojic acid, it also contains retinols and beta hydroxy acids (BHAs) that gently exfoliate your skin. Both retinols and BHAs are great for encouraging cell turnover which gets rid of hyperpigmentation but like so many skin lighteners, they can increase your sensitivity to the sun so it is best to use this as a sleeping mask. Soaps, lotions and creams are great but sometimes you want to pamper yourself and get quick whitening and lightening benefits. Japan (and Korea and other parts of Asia) love their sheet masks so when it comes to skin ​lightening masks, you have a lot to choose from. Our favorites for best results? Kose's Turn White Vitamin C Facial Masks are a cult classic - they're super affordable, they're loaded with Vitamin C and they produce an immediate, noticeable lighter difference to your skin tone. Wonderful masks with the only downside being they can get a little addictive. Another one we love are HadaLabo's Medicated Whitening Facial Mask, which contains a good dose of arbutin, an all natural skin lightener to quickly lighten dark spots and brighten overall complexion (great to use alongside Hada Labo's skin lightening lotions, which also contain arbutin). Also great is Kracie's Whitening Facial Mask, which has a helpful combination of Vitamin C and fruit extracts for lightening as well as skin boosting ingredients like collagen. Fun tip: Another quirky little product that hails from Japan is the electric mask heater, which essentially warms each and every facial mask before you put it on so your skin gets better nutrient absorption and deeper penetration of the mask's ingredients. You can't forget about your body, of course - you don't want to lighten your face and end up with a stark contrast starting from your neck! Which brings us back to Shouvy. Shouvy's Whitening Body Lotion is packed - really packed - with a bevy of skin lighteners like glutathione, kojic acid and vitamin C. It also does a decent job moisturizing although it can be too light for the winter months. Just keep in mind that skin lightening does take time, especially when you're dealing with body skin that's consistently exposed to the sun. To speed up your progress, combine the whitening lotion with other helpers like whitening soaps as well as regular exfoliation (this one's a must!). As for darker areas of your body that you'd like to lighten up (i.e. armpits, inner thighs), you can go for a more concentrated product like Shouvy's Underarm Whitening Cream. This combines lightening ingredients like arbutin along with exfoliants like salicylic acid to gently and gradually fade and lighten dark armpits. Last but not least, Japan also offers plenty of ways to get lighter skin from the inside out. After all, why only stick to topicals when there are ingredients that have been shown to be effective skin lighteners when consumed orally? We're mainly talking glutathione, of course. To be honest, our favorite skin lightning pills don't hail from Japan but Japan still has some good ones. ﻿﻿Tatiomax﻿﻿ is a well known brand in Japan, albeit a bit too expensive for what you get (at this price, we'd choose liposomal glutathione every time). A good alternative, though, is the I﻿﻿﻿shigaki L-Glutathione ﻿﻿﻿Whitening﻿﻿﻿ ﻿Capsules, which contain a pretty good dose of glutathione (600mg in each capsule) and at a really affordable price. Another option for a skin lightening pill that's unique to Japan is placenta. Placental protein has been lauded for everything from plumping the skin to whitening the skin and you can get it in supplement form with Mosbeau Placenta White Advanced Skin Whitening Tablets. Final tip: The above are some of our favorite Japanese whitening products, but if you want to search around for new finds - keep an eye out for the word "bihaku," which means beautifully white and is used on a lot of their whitening products.